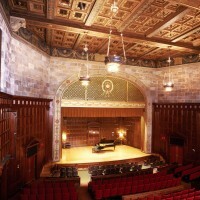 Considered by many to be one of the finest chamber music halls in the world, Kilbourn Hall serves as the primary location for faculty, student, and guest artist recitals, chamber music and jazz performances, and opera productions. 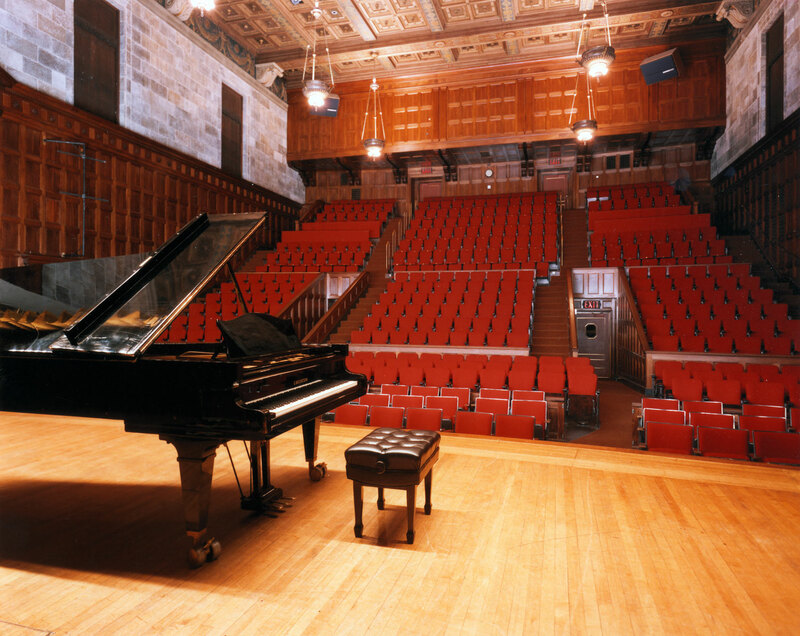 It is also a frequent choice for commercial recording sessions due to its fine acoustics. Recent guests have included baritone Sanford Sylvan, pianist Paul Badura-Skoda, saxophonist Dave Liebman, eighth blackbird, composers John Adams, George Crumb, and Bill Holman, and the Brentano and St. Lawrence Quartets. 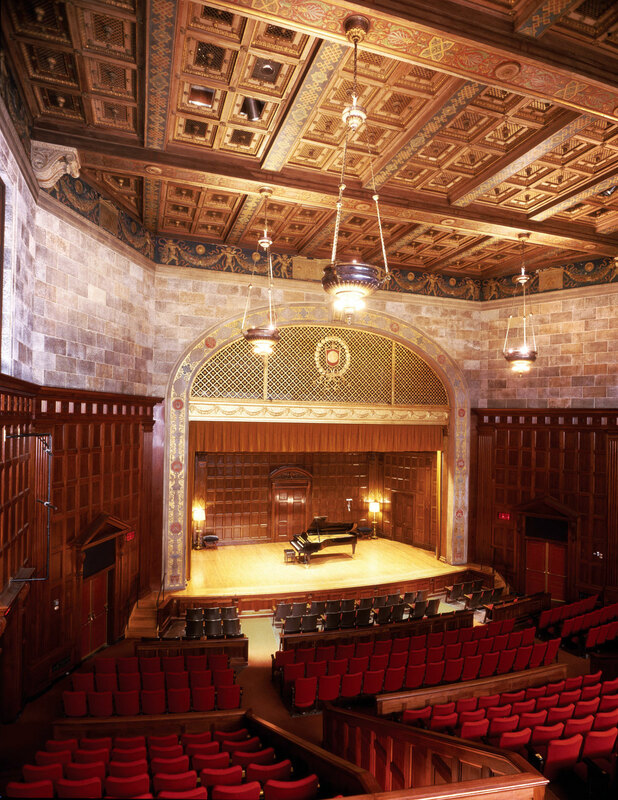 Opened in 1922, Kilbourn Hall was built by George Eastman and dedicated to the memory of his mother, Maria Kilbourn Eastman. Three stories high and decorated in the Venetian Renaissance style, the 444-seat hall is well known for its remarkable beauty, pure acoustics, and excellent sight lines. It contains a 4-manual, 90-rank Skinner organ. 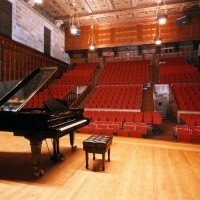 The organ pipes are enclosed behind the front screen, over the proscenium, and the organ console can be raised from under the first three rows of seats.